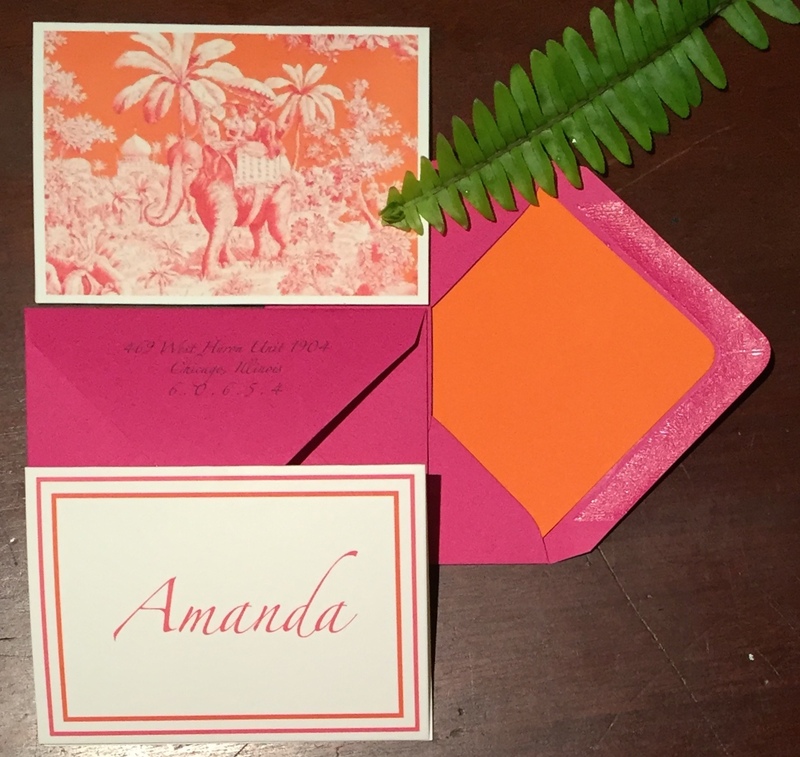 Destination Bridal Shower – The hostess wanted the invitation to reflect the feel of Le Colonial, Chicago’s noted up-scale French-Vietnamese restaurant which vividly recaptures the beauty, romance and spirit of French Colonial Southeast Asia in the 1920s. Ooh-la-la! 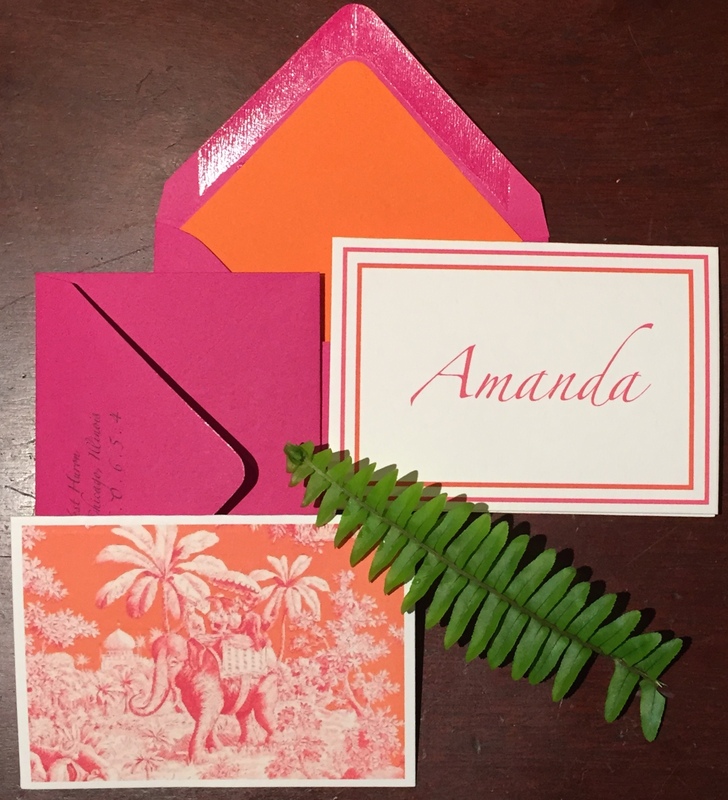 For a twist on the classic palm tree theme, we incorporated a tropical safari in pink and orange. Beautiful ladies with parasols riding on top of an elephant through a tropical landscape, on their way to Le Colonial for Amanda’s shower. 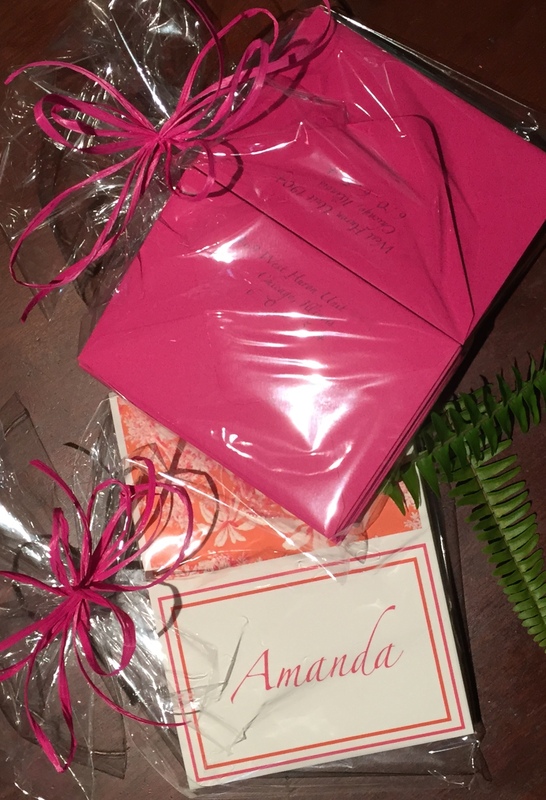 A gift for the bride to be, coordinating thank you notes.